This lovely free crochet pattern for baby is one of my favorite crocheted baby sweaters. I just love the oversized bow, but you can give it a more tailored look by using a frog closure, or a large button if you wish. The sweater and matching baby hat would make a wonderful handmade gift for a baby shower or gift basket. The texture of this little baby sweater is called the Crazy Pattern. 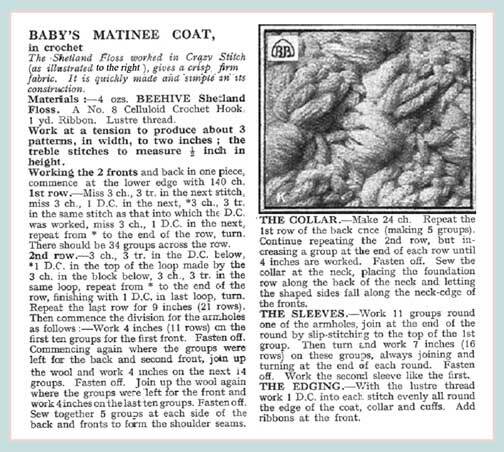 It works up quickly, and gives a nice firm finished fabric that will create a warm sweater for baby. 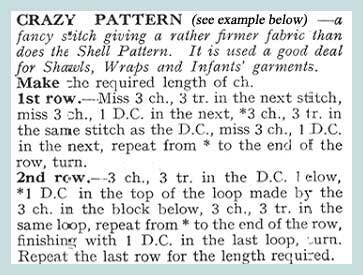 Here are written instructions for how to make a crazy pattern stitch. A close up example is shown below. free crochet pattern for baby. Don't miss the matching bonnet in this page of free crochet hat patterns. 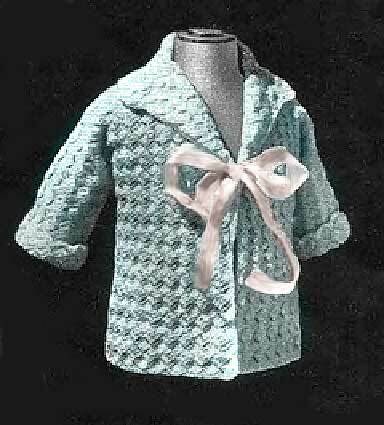 free crochet patterns for babies.